Is the way that we currently elect representatives just? In this piece, I will argue that it is not, and advance certain solutions. Currently, we live in a representative democracy, where we come together to vote on particular candidates every couple of years. Notably, we have a two-party duopoly, in which only the Republican and Democratic parties are major players. This is partially the result of our first-past-the-post system, in which people vote for a single candidate, and the person with the most votes win. In first-past-the-post, third-party candidates can cause candidates with majority approval to lose by splitting the vote. This is notoriously known as the spoiler effect. One viable alternative to this is approval voting. Instead of voting for a single candidate, under approval voting people vote for as many candidates as they want, and the person with the most votes wins. This eliminates the spoiler effect and is not as complicated as Maine’s ranked-choice voting system. Under ranked-choice voting, voters rank candidates, typically three, from their first choice to their third. If no candidate has a majority of the votes, then the last-place candidate is eliminated, and the votes are allocated to voters’ next choice. This repeats until one candidate has a majority of the votes. While this system eliminates spoilers, it can have counterintuitive outcomes. For example, it is possible for ranking a candidate higher on the ballot to cause that candidate to lose, and it is possible for ranking a candidate lower on the ballot to cause that candidate to win. Still, ranked-choice voting remains superior to first-past-the-post, though I would argue that approval voting is better than ranked-choice voting. Like ranked-choice voting, approval voting would be used for voting for specific candidates within specific districts, which are currently drawn by political parties. These parties have their own interests, and this often distorts representation in a process known as gerrymandering. Gerrymandering causes unjust outcomes in the way we elect representatives through dilution and concentration of voters. In this way, political parties in charge of redistricting can easily create unrepresentative results that favor them. A solution to gerrymandering might include having districts crafted by independent commissions rather than political parties. I argue that while this would be superior to the current state of affairs, proportional representation has the potential to solve even more problems. Proportional representation, the system where seats are allocated based on the percentage of the vote received, is especially promising because it would make legislatures better represent the wide spectrum of voter opinions rather than simply the majority. The alternative leaves situations in which a large minority of voters within a district lack a voice. The presidential election is a special case in which a candidate that has a majority of voter support can lose. The Electoral College has become notorious in recent years for creating undemocratic outcomes in presidential elections by contradicting the notion of one person, one vote. The value of a vote in California is much less than a vote in Iowa because we base the Electoral College on the U.S. Congress. Because Congress gives two senators and at least one member of the House to states regardless of their population, the Electoral College is profoundly undemocratic. The Electoral College was established as a process to serve as a compromise between the people or Congress electing the president. Since then, we have moved closer toward the people electing the president through popular vote, as states have moved towards binding electors based on the popular vote within their states. In 2016, President Trump lost the popular vote by a wide margin but was elected to the presidency via the Electoral College. Swing states cause candidates to neglect the majority of the population in favor of courting voters in contested states. These issues might be solved through the elimination of this archaic system altogether in favor of a national popular vote. Even if we succeed on this front, low turnout remains a major issue in elections. Low turnout for elections might be solved through an opt-out voting system similar to Australia’s mandatory voting system. This would be best done alongside reforms such as making election day a national holiday, expanding early voting, and automatic voter registration. These efforts would counter the problem of voter suppression, which entails unjust barriers to voting such as voter ID laws, purging of electoral rolls, and the barring of felons from voting in certain states. The latter is dangerous in a country that criminalizes black and brown people and political dissent. The internal logic of an ideal representative democracy is premised on the notion of meritocracy, the idea that those with power should be selected on the basis of ability. The problem with meritocracy is that those deemed to be without ability are left unrepresented. Instead, a system that leads to the representation of all people, regardless of ability, such as sortition, might be worthy of advancing. Under such a system, our representatives would be selected at random from the general population. Since people are influenced by their position in society when making decisions, a system built on rule by all people rather than an elite few would be best positioned to advance our collective interests. I am arguing that meritocratic rule, even under perfect conditions, would advance the interests of elites at expense of everyone else, cementing an elite ruling class. A real-world example of this is U.S. Congress, which has many more lawyers, millionaires, and white men than the general population. Even if these representatives intend to represent their constituents, their position within society factors into their decision-making. While this may be slightly less terrible under ideal conditions, it would still result in a Congress that is much more educated than the general population, leading to the neglect of everyone else. Sortition would best be used through issue-specific legislatures, empowering ordinary people to make informed political change by specializing on a single issue. These would accompany or ultimately supplant proportional representation-based legislatures, allowing for greater political participation by ordinary people. I argue for legislatures elected on the principle of proportional representation accompanied by issue-specific legislatures run by ordinary people selected by sortition. 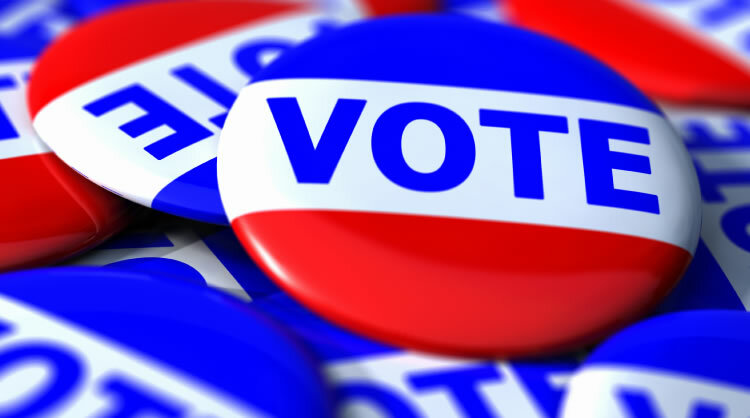 For elections involving candidates, such as mayoral, gubernatorial, or presidential elections, I argue for approval voting within an opt-out voting system. For presidential races, I argue for the national popular vote over the Electoral College. The voting systems we use are not the only barrier to multi-party democracy; thresholds for access to debates, lack of public financing of elections, and unequal media attention also play major roles. So while none of the reforms I argue for here will be enough to fully cleanse the political system, they are an important first step toward making our democracy function better. You make some good points about the need for change to our election system. You raise a very valid point that approval voting avoids the complications for counting a ranked-choice voting election — as in Maine. Approval voting could probably work as well as RCV for eliminating the spoiler effect in single-winner elections. But approval voting is ill-suited to multi-winner proportional representation elections. With approval voting, minorities — be they a racial, ethnic or political minority — can be submerged and out-voted by a majority-voting bloc. Ranked-choice voting, and related multi-winner methods like limited and cumulative voting, overcome that submerging effect and allow a cohesive minority bloc to elect its fair share of representatives. Ranked-choice voting advocates plan to eventually transition from single-winner RCV to a multi-winner elections to produce proportional outcomes. It was the model used in the early to mid-20th century when two dozen U.S. cities used RCV to elect municipal councils and school boards. At the time, the system was simply called “proportional representation.” But recent-era adoptions, beginning with San Francisco in 2002, have all been single-winner systems in which RCV has been overlaid onto existing winner-take-all elections. There are no plans for any current locations, or any new locations, to move to multi-winner proportional forms of RCV. My concern is that in their zeal to promote ranked voting, advocates have abandoned the original mission of proportional representation and may be settling for a mere face-lift on winner-take-all elections.